On that day I had an appointment with a friend of a friend of mine. 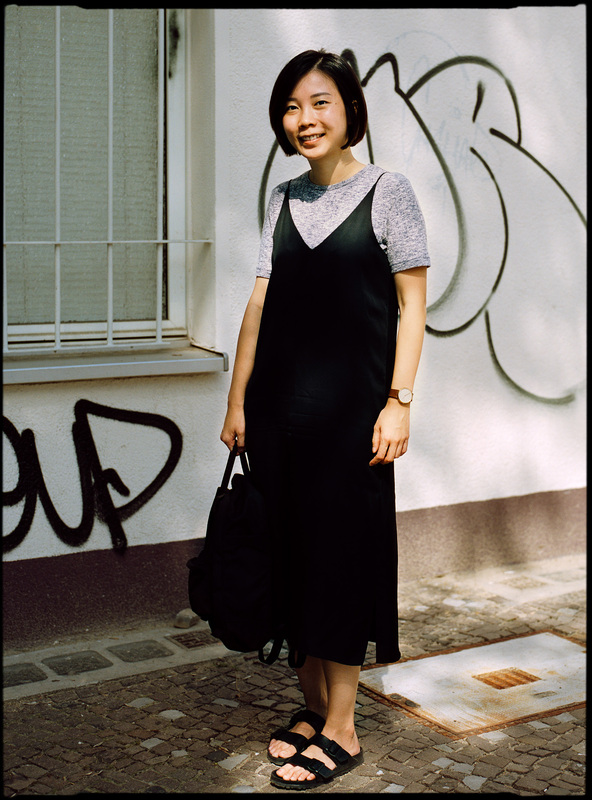 Hang is a designer living in Shanghai, and when I heard that she was passing through Berlin, I thought this would be an excellent opportunity to get to know her. I was thinking for a while now to have a small logo for my photography, and I was wondering if she could design one for me. We meet for a coffee, and we spent a great time chatting about travelling, photography, ice cream. I was delighted that I had my camera with me ( just in case 🙂 ) so I could make a picture of her. And now I’m curious and looking forward to seeing my logo for the first time.